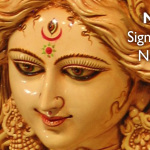 Jagadhatri puja is a celebration of the ‘Mother’ who holds the world together. The three-eyed goddess stands majestically on an elephant that symbolises the dead demon Karindrasura. She rides a lion and holds a conch, a bow, an arrow, and a chakra in her four hands. 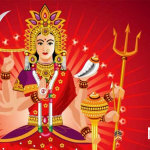 Being a form of Goddess Durga, Jagadhatri too is a manifestation of Shakti. 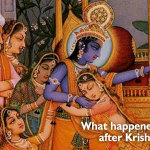 Legend has it that after the defeat of Mahisasura, all the devatas became egoistic. They thought that Goddess Durga could only defeat the demon because of the weapons the devatas gave Her. They failed to understand the role of the primordial power in the victory. Brahma, with the intention of making the devas understand their mistake, appeared in front of them in the form of Yaksha. He invited the gods to move a blade of glass. Vayu, the god of wind, claimed that He could uproot mighty mountains and trees and would surely be able to move a tiny blade of glass. But despite all His attempts he failed. The same fate awaited Agni, the god of fire, whose power to devour almost anything had no effect on the small blade of grass. One by one all the other gods followed suit. Soon they realised that their power alone was nothing. Their power was derived from the power of the Supreme Mother who holds the entire creation, Maa Jagadhatri. As this ultimate realisation dawned upon them, their ego became an elephant. Mother Adi Shakti appeared in front of them in the form of Jagadhatri. Sri Ramakrishna said, “Jagaddhatri arises in the heart of a person who can control the frantic elephant called mind.” It is believed that anybody who worships Maa Jagadhatri with devotion becomes devoid of his sense of ego. He then becomes a servant of Brahman that manifests itself in the entire Brahmanda or the Creation. This means, “The embodied beings who are self-controlled and detached reside happily in the city of nine gates, free from thinking they are the doers or the cause of anything”. A person can become self-controlled and detached only when he can control his mind or ego, the ‘elephant’ on which Maa Jagadhatri proudly stands. Jagadhatri Puja is celebrated with much pomp and show in Chandannagar, West Bengal. However, the celebration was started by Maharaja Krishna Chandra in Krishnanagar in 1754. It is said that the goddess appeared in the Maharaja’s dream as a little girl and asked him to worship Her in the form in which She chose to appear before him. Then She transformed into a deity, filling the world with light, sitting on a lion and holding a conch, chakra, and bow and arrow in Her hands. 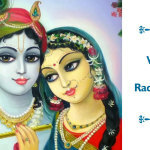 ISKCON Vrindavan celebrates Jagadhatri puja in the holy Braj. Come, be a part of the many celebrations in the holiest 84 kos on earth. 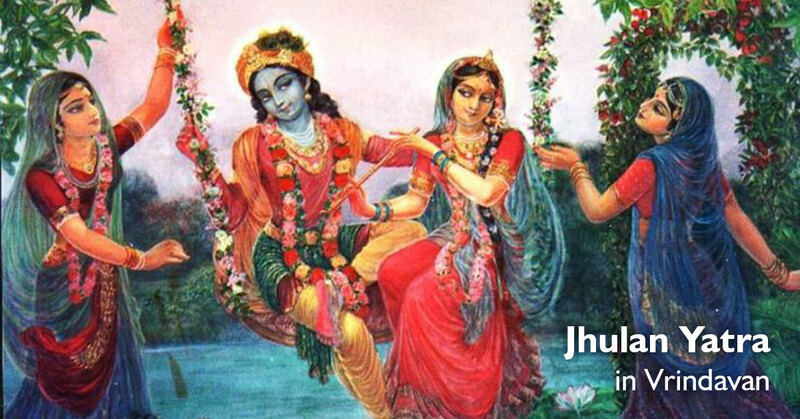 Have a beautiful home in Krishna Bhumi, Vrindavan and stay close to Sri Krishna. 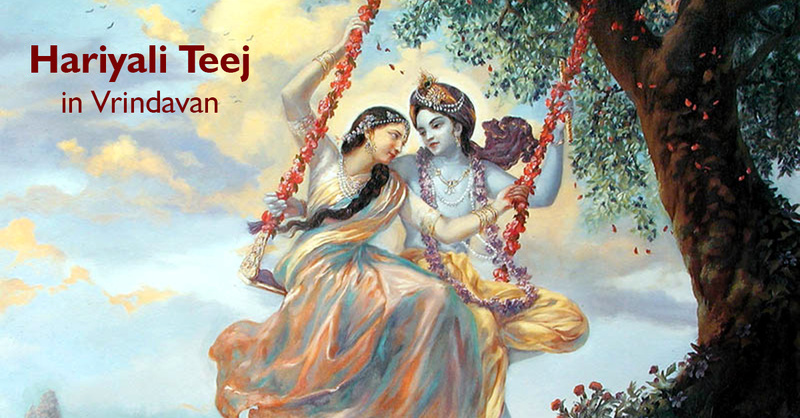 You can also become a Krishnabhumi Holydays member and come back to Sri Krishna’s Leela-kshetra again and again.